JD Tree Service offers expert, professional pruning and tree trimming for ornamental trees, fruit trees, hedges & shrubs and larger trees that need rejuvenation. Proper tree maintainence through trimming and pruning maintains the health of the trees, and helps to prevent costly problems in the future. 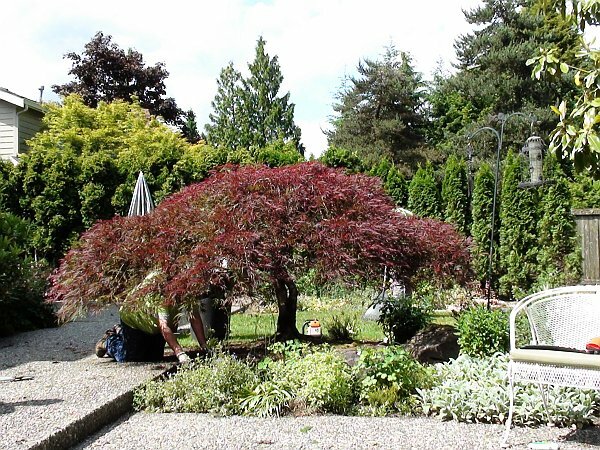 As members of the International Society of Arboriculture both John and Doug have specialized training in the art of pruning and tree care, and can restore your valuable trees back to their natural form and beauty. This takes a great deal of time and training that most budget tree services will not provide. Our residential tree pruning services include large hedge trimming; trimming branches that are too close to power lines and property structures; removing dead, diseased and broken branches to improve the health and beauty of the tree; pruning to increase light and air penetration to the inside of the tree and the landscape below; and to rejuvanate healthy growth within the tree. 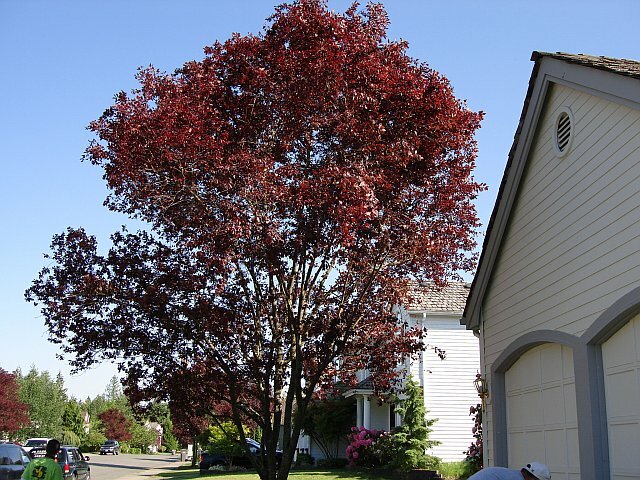 Our training and understanding of tree biology will ensure that your tree's health and integrity will be maintained, while enhancing the aesthetic and economic value of your home's landscape. 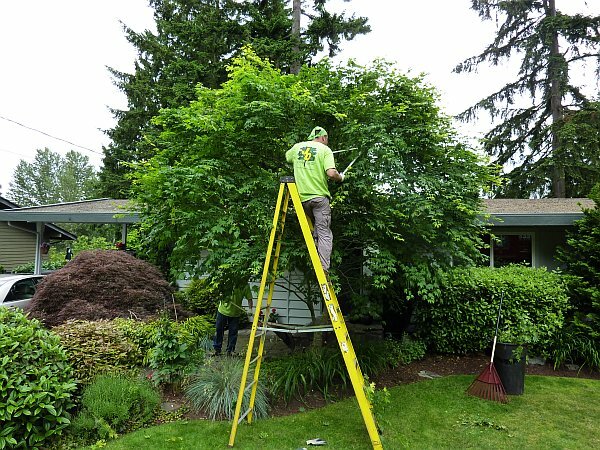 Because improper pruning can change the growth pattern, and damage the tree, it is important to choose professionals trained in arboriculture. 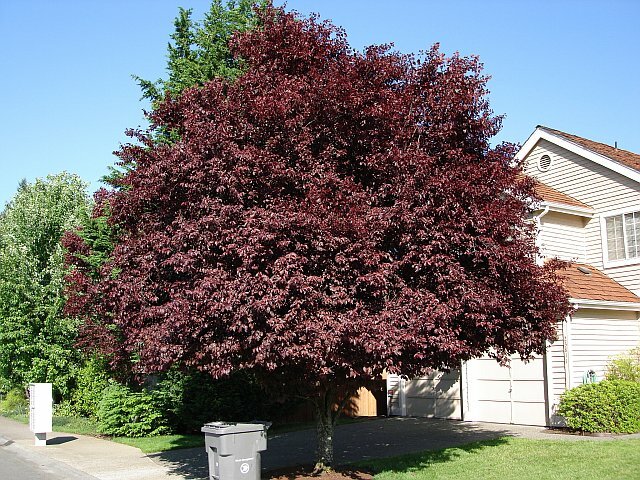 After evaluating the tree's age, species and natural structure we will determine how to prune your specific tree for both health and aesthetic reasons. 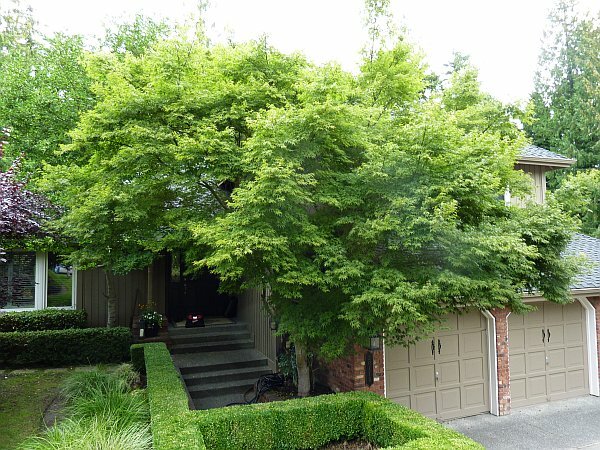 This may include removing any branches that are dead, damaged or conflicting with one another, and branches that detract from the natural shape of the tree. We will also determine the proper type of pruning to increase or maintain light and airflow into the tree. Depending on the species this may involve different things. 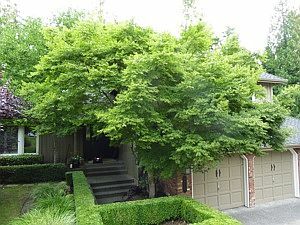 For example, plum trees need the water shoots removed regularly where Japanese maple trees need very fine pruning at the ends of the branches to allow light penetration to the inner canopy. Each and every tree must be assessed and treated as an individual. It is very important to note that we can only safely remove a certain percentage of canopy without shocking the tree during each pruning cycle. For this reason neglected or badly "pruned" trees could take several pruning cycles to be rejuvenated. 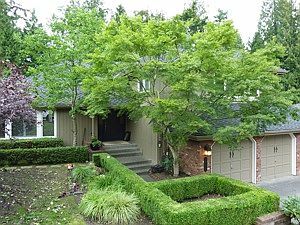 To see some examples of bad pruning that we have seen, and why it is so important to only choose professionals, click here. As a long term, relationship-oriented company, we will be happy to review your property. 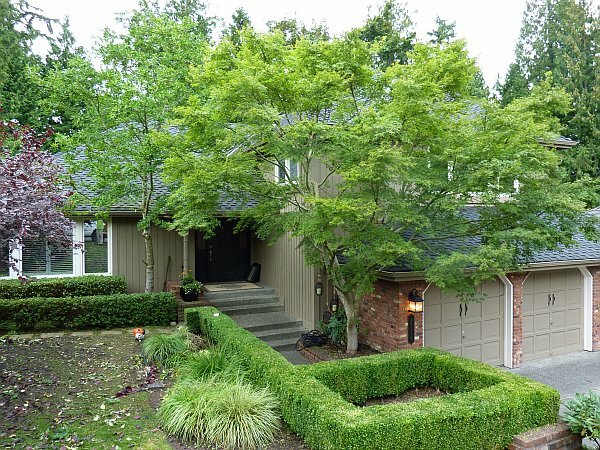 "We were extremely pleased with the work John and Doug did on our trees! They took down a few diseased trees and expertly pruned the remaining ones. The yard looks great! They showed up on time, did a great job and thoroughly cleaned up before they left our property. You won't find a better tree service."